Need an Airbag Warning Light Is On Inspection? How Much does an Airbag Warning Light Is On Inspection Cost? WARNING: The ‘Supplemental Restraint System’ (SRS) fitted to modern vehicles is a complex and highly dangerous system if not handled correctly. A slight spike in power is enough to deploy the system without warning and can cause injury or death if activated unintentionally. It is recommended that a trained professional disable the system before work is performed to prevent accidental deployment. NOTE: In April 2013, a worldwide recall was instigated to vehicles fitted with airbags from the company “TAKATA”. 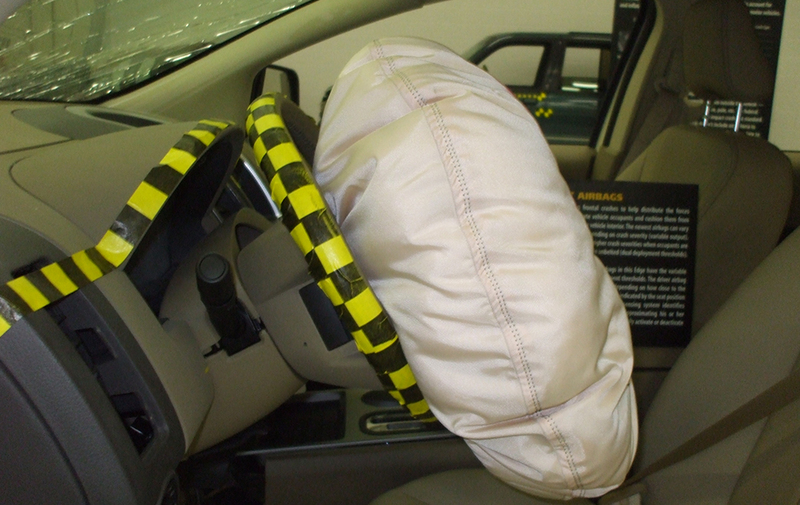 These airbags have been found to rupture under certain circumstances and can lead to injury and death in the event of an accident. If you notice the airbag light on, you own a vehicle from the list below, and built in 1999 onwards, we recommend that you contact your vehicle manufacturer to see if it is affected by this recall as soon as possible. If affected, the manufacturer will need to carry out replacement of one or more airbag modules. As it is a recall, there will be no charge to have these replaced if required. All modern vehicles these days are fitted with airbag safety systems, which deploy in the event of an accident to protect the occupants of the vehicle. As such, it is a critical system that needs to be in perfect working order at all times. If there is an issue detected with the airbag system (also called the ‘supplemental restraint system’ or SRS) a light will be illuminated on the dash. When this light is on, it means the system has been deactivated and in the event of a crash, the airbag system will not operate. Therefore, it is extremely important to have the airbag system inspected as soon as the light comes on, to identify the issue and have it repaired. How does the Airbag System Work? The airbag system is designed to protect the occupants inside the vehicle in the event of an accident. There are sensors placed around the vehicle that send data the engine control unit (ECU) when an impact is detected. The ECU then determines if the airbags are needed based off the data it has received. If the ECU determines that the airbags are needed, it sends a signal to the airbag inflators. These are a gas emitting device, and once triggered will deploy the airbag by using a chemical reaction. This all happens in 30-50 milliseconds, or around half the time it takes to blink! The airbag system works in conjunction with the seatbelts to provide as much protection as possible. If the module that controls the airbag system senses a fault with the wiring or sensors, it will deactivate the system and switch on the airbag or SRS warning lights. This is to prevent accidental deployment of the airbags without warning. A failure of one of the airbags with cause the control module to deactivate the system to prevent premature deployment. If the vehicle has suffered water damage, or corrosion has occurred from being near salt water, this may prevent the system from operating correctly. What’s Involved in the Airbag Warning Light is on Inspection? The mechanic will carry out a full diagnostic test on the system, including scanning for any Diagnostic Trouble Codes (DTCs) and will provide a quote to carry out repairs if necessary. If the airbag light is on your dashboard, it means that the system has been disabled, and the airbags will not operate in the event of an accident. It is a priority to have your vehicle inspected as soon as possible to ensure the safety of you and your passengers.